Pavtube Android Video Converter is such kind of transcoding tool that features format templates for Smartphones like iPad, iPhone, iPod, Samsung Galaxy Note as well as some HD Tablets like Samsung Galaxy Tab, HTC ONE , Amazon Kindle Fire, Nook Tablet. What's more , different streaming devices like Apple TV, PSP, Xbox ,etc, can also be supported by this app. And it not only just excellent on the smartphones and Tablets, but also brilliant on some HD Media Players. Better yet, it lets users to custom video on their own and save the settings as new format templates to make future conversion easier. The following guide shows you how to create a custom format for Android smartphones with Pavtube Video Converter. 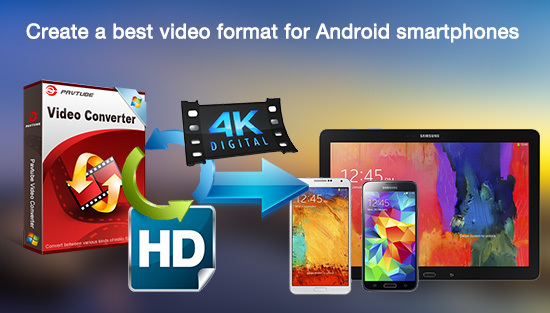 How to Create a Best Video Format for Android Smartphones? Install and run Pavtube Video Converter. After that, click "File">"Add Video/Audio" to load your files. Directly drag your videos into this app is also available. Click this format bar to choose "HD Video">"H.264 HD Video (*.mp4)" as your compatible format for your Android smartphones. 1. Now the update of the Pavtube Wins products can support H.265/HEVC decode/encode, you can enjoy the most vivid viewing experience by this format. 2. Or if your smarphone can't support this H.265/HEVC codec, don't worry, H.264 high profile can be the best choice to maintain the video quality also compatible with your smartphones. 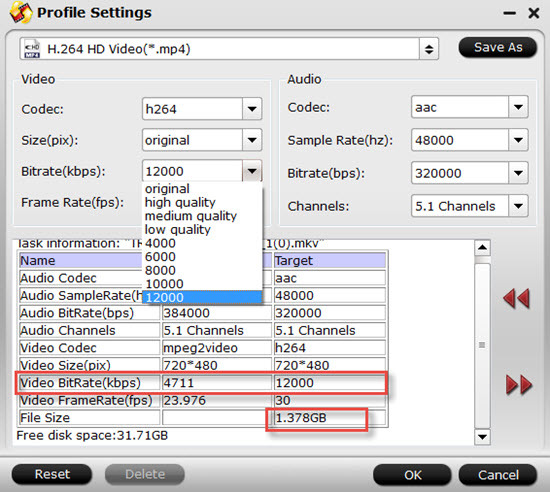 All the format in the "HD Video" decoded under H.264 will be output as H.264 high profile. Step 3. Custom format for Android smartphone display. After choosing the supported format of your Android phone. You can customize the parameters of your videos on the "Settings" UI. If the file size is ok with you, then you'll not need to create a custom format, If not you can adjust the Bit rate, Frame rate to fit your smartphone better. 1. While no proper resolution is not a problem, for you can type the 3840*2160 (4K) in the following box to step into the 4K world. But your smartphone need to support this high resolution first. 2. Bitrate- High bitrate= high video quality= big file size= long conversion time. You can see that file size is increase to 1.378 GB from which the original video size is 572.771MB by imporving the Bit rate to 12000kbps Decide and set video bitrate (type in) according to your own needs. Set higher bitrate for better quality, and lower bitrate for smaller fie size. 3. Audio channels- Stereo is just fine for Android handsets, although 5.1 channels is available, 2 channels is recommended. Press "Save As" and give the new format a name. Then click "OK" to save it as a new format for Android smartphone. You can find your customize settings in the top of the format profile list. Step 6. Start converting your videos into best compatible videos to Android smartphone. Basically, a smartphone running Android 2.0 and above should support H.263, H.264, DivX video in .mp4, .mkv, .avi, .3gp format. 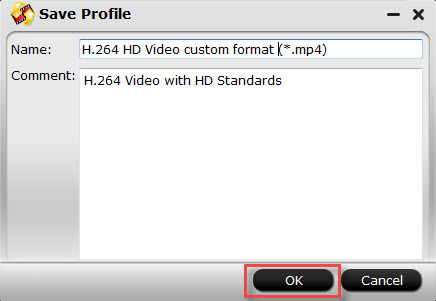 You are suggested to create H.264 HD mp4 video for Android smartphone because the format is widely accepted by many other devices, and you won't have to convert the movies again when you want to put movies to iPad, iPhone, Apple TV, etc. Simply run Pavtube Video Converter, load your source videos, click on "Format" bar, and follow "Custom" to select your custom format. Finally click "Convert" to start encoding videos for Android smartphone with the best format for yourself. After conversion you can put videos to Android smartphone and watch them freely. The format should work well on all Android smartphones with WVGA display. We did a test with Android handsets of Motorola, Samsung, HTC and LG and all play the converted video without problem. You're advised to try the software out before purchase. The trial version never expires. 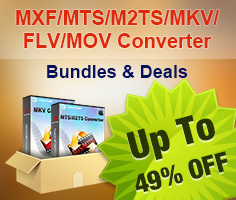 The software converts videos up to 1080p full HD or even higher in these formats: wmv, avi, mp4, mkv, mov, m4v, flv, f4v, mod, tod, mts, m2ts, ts, mpg, mxf, tivo, rm, rmvb, asf, dv, tp, trp, dvr-ms. Android Phones Theme Page will offer more ways to explore Android Samrtphone and have more fun with this device. The software can also be used to extract audio from video file (e.g. convert mp4 to mp3) for sending to Android handsets and other devices. The software is able to converts unprotected DVD video (.vob) and Blu-ray video (.m2ts) for Android smartphone, but is not capable of converting videos from DVD or Blu-ray. For ripping DVD and Blu-ray movie to Android smartphones, you'll need BDmagic software. For Mac users, this Video Converter for Mac can run on Yosemite smoothly.